Good: Vastly improved design, great content, and more autographs. Bad: Based on the price point of 2009 Topps Triple Threads Baseball it really feels like there should be a 2 autographs per hobby box. The multitude of base card parallels inserted in lieu of rookie cards or inserts make the non-hit cards bland and nearly irrelevant. 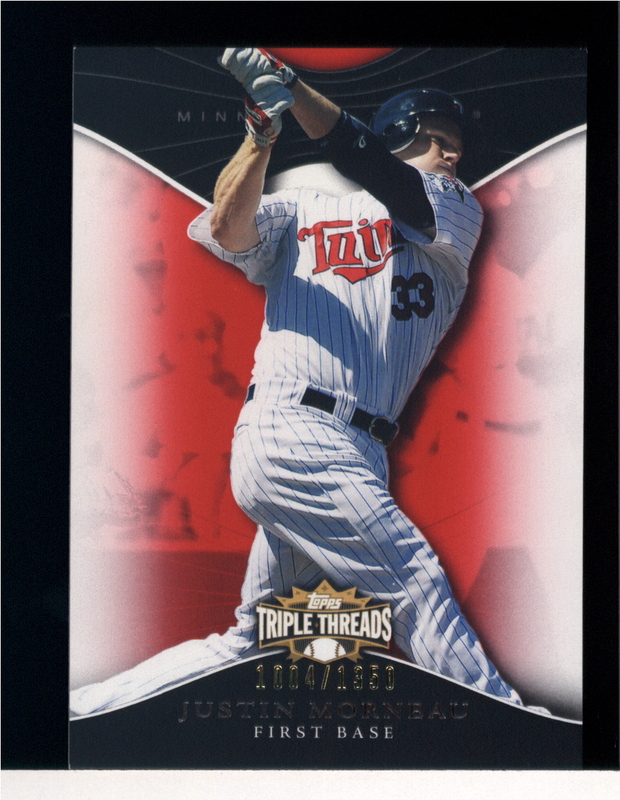 The Bottom Line: My main beef with past Triple Threads sets in the past have been their gaudy, over-the-top designs. 2009 Topps Triple Threads Baseball is a huge upgrade in this respect, sporting a look that is more reminiscent of Topps Sterling then it is of previous Triple Threads sets. The same content we've come to expect from this brand is back and better then ever - but it doesn't come cheap. 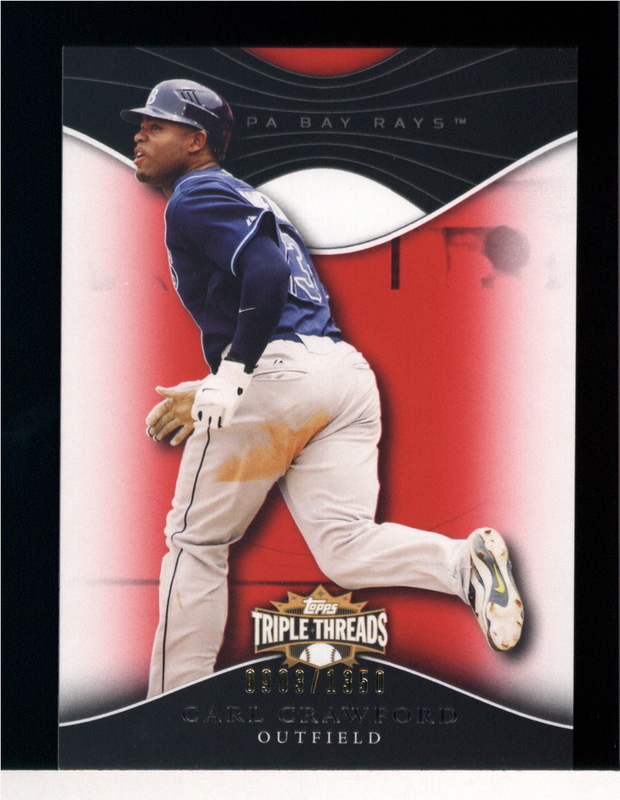 I look forward to purchasing another box of 2009 Triple Threads Baseball in the near future, provided I can get the green light from the boss...er...wife. 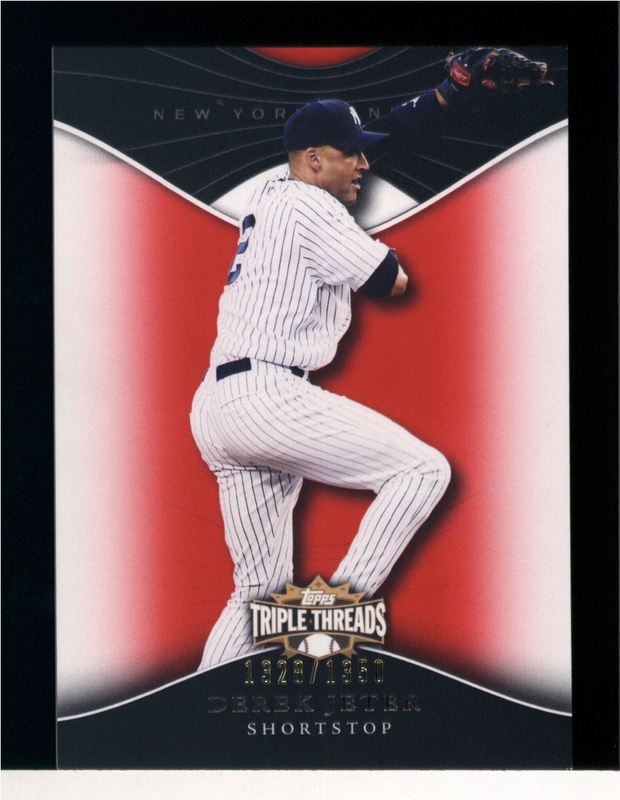 The single biggest upgrade to 2009 Triple Threads Baseball is its design. 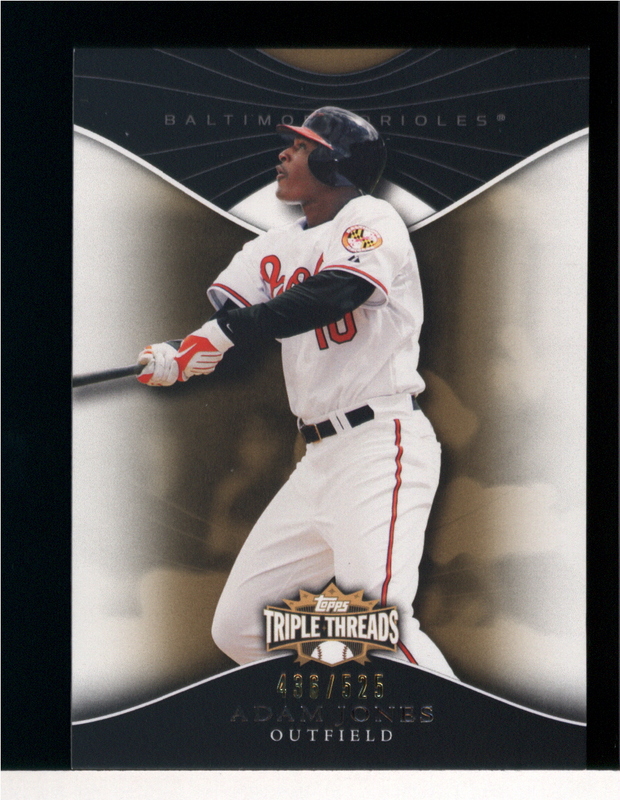 The bright and campy designs of years past have largely turned me off of Triple Threads. However, this years design looks great and I think it adds a lot to the set. The sleek look is more along the lines of Topps Sterling then Topps Triple Threads. As far as the hits go, the quality and depth of the checklist is top notch and better then ever. The base card set is a different story, however. The lack of base rookie cards and inserts means that there isn't a whole lot to look forward to outside of the guaranteed Triple Game Used Memorabilia or Autographed Triple Game Used Memorabilia card hit inserted in each mini box. With that said, collectors don't buy Triple Threads for the base cards - they buy it for the autographed, game used memorabilia, jersey patch, and cut autograph hits. The fact that 2009 Triple Threads Baseball delivers in this key area compensates for the deficiencies in its base set. Its hard to say that 2009 Triple Threads Baseball is a bad value given the abundance of great looking, big name pulls. On the same token, its hard to say its a great value either given the fact that you are paying $150 (give or take) for what might only turn out to be a single autograph. Were 2009 Triple Threads Baseball to feature 1 guaranteed autograph per mini box it would be a no brainer pick for premium card product of the year in my book. Since every other pack contains an autograph there are bound to be a significant portion of collectors who beat the odds and pull 2 autographs per box. On the flip side, there will be equally as many people who come up short by pulling just 1 autograph. I love the thrill of breaking a premium product like Triple Threads. While the sports card purist in me prefers products with lots of packs to break, I am starting to enjoy breaking (good) premium products almost as much. My favorite part about breaking a product like 2009 Triple Threads Baseball is the 5-10 minutes leading up to the box break when I am able to marinate over the possible cards lying in wait. Nine times out of ten reality falls short of fantasy, but a good product will leave me feeling of satisfied almost irregardless of what I pull - as long as I don't pull any more Mike Rabelo autographs. 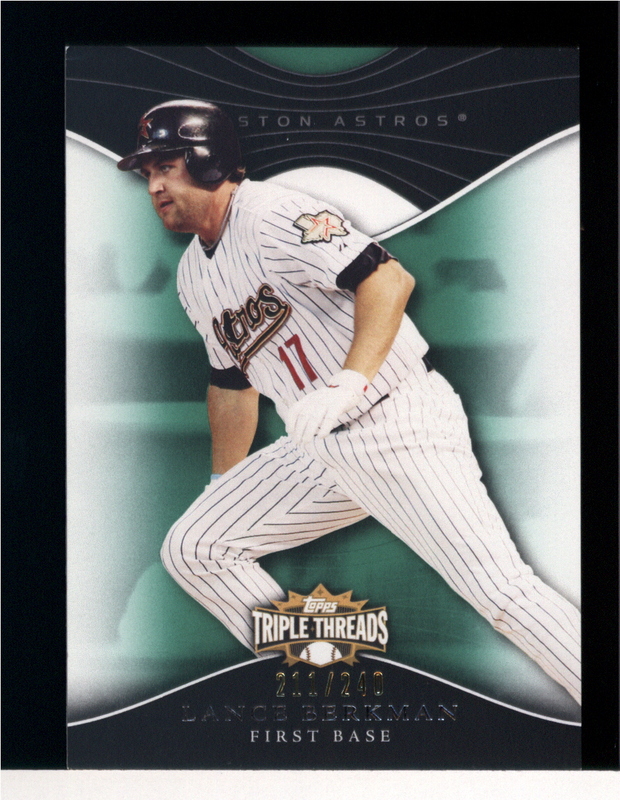 Triple Threads is one of these kinds of products.